The guys over at Automattic have been busy, not just with getting a new WordPress release out, but also getting a new video tutorial site together called WordPress TV. 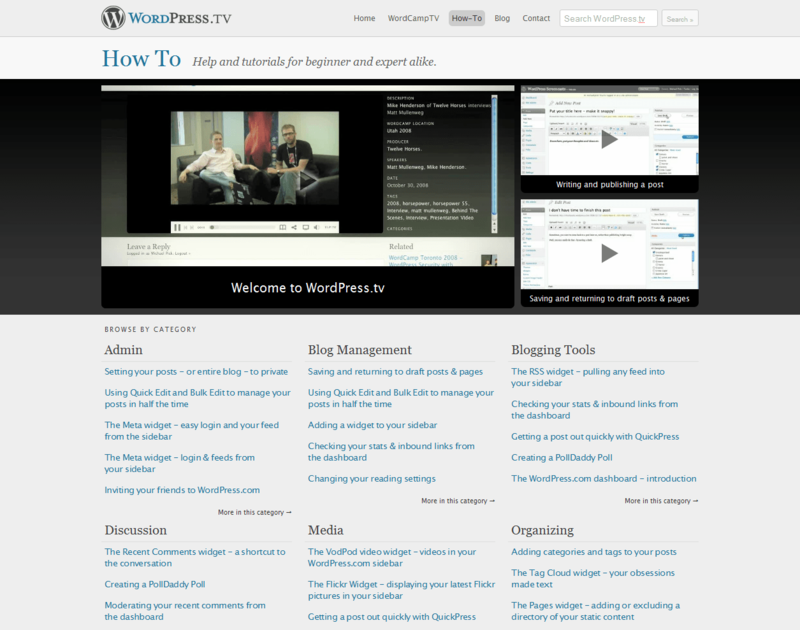 The site is packed full of tutorial videos on doing pretty much everything you might need to do when using WordPress and each video is well narrated and will get you feeling super comfortable with the new WordPress interface in no time. With the ease of embedding videos this could make it nice and easy to give my clients another option for getting a bit of help when they’re trying to work their way around the back end. In addition to this, WordPress TV will be publishing a huge wealth of videos from WordCamp presentations, and will also have a lot of interviews and other visual bits and pieces to keep your eyes interested. For a video introduction to the whole thing check out their welcome video.